I also posed for this shot. 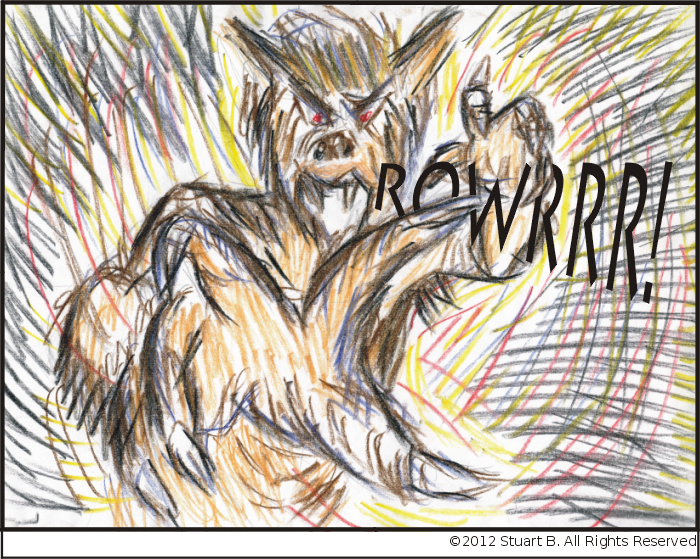 It is an interpretation of the nightmarish moment when Billy was attacked by the Ware-Wolf. I arranged the print version of this issue so this picture became the full page centerfold panel. What would you do if you were attacked by a dog? Or even, how could you AVOID an attack? Find out HERE.